Originally Delaware had very good corporate protection. For years, it made sense to form an LLC or corporation there. The Limited Liability Company was originally conceived and formed in Wyoming, so of course thirty years ago it made sense that one of the best states form LLC was Wyoming. Nevada got on board quickly and made their company privacy and tax laws very favorable. It didn’t take the other states very long to realize that they were losing company business to these three states. Today all of the states have passed laws that make LLC formation competitive with Delaware, Nevada and Wyoming. Limited Liability Companies (LLCs) are probably the most flexible business entities available today. Why form a LLC? Because you get a better asset protection than with most other business entities. If you form a LLC correctly you will also get better accounting options plus the LLC will be a lot easier to maintain than a corporation. Personal acts include things like a divorce, lawsuit from an auto accident (donkey cart back then), bankruptcy, lavish living, or any one of a thousand other acts. If one partner got in trouble, his or her partnership interest would be taken by their creditor, and suddenly, the other partners had a new partner – an unfriendly partner. 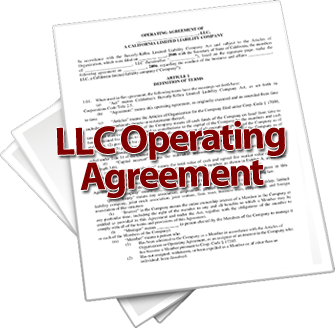 Creating a LLC Articles of Organization is not a difficult task. The Articles of Organization document is only two or three pages long and is basically used to provide the state with notice about your LLC creation. Once you have filed this document with the state, you are in business. 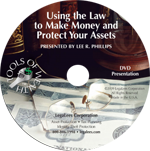 However, to create LLC asset and tax protection requires more effort and more documents, but it is critical if you want to get the most from your LLC. The easiest thing to do to start a business is just start making money. If you’re acting alone, you’ll be considered by the law and the IRS as a sole proprietorship. If you’re acting with one or more other people, then you’ll be consider a partnership, unless you file papers with your state and the IRS to say you want to be a limited partnership, corporation, or an LLC.